One of the last Union Steam Ship Company vessels, Briton was built by Harland & Wolff, Belfast. Launched in June 1897, she made her maiden voyage from Southampton to Cape Town on 4 December 1897. At the time she was the largest ship sailing from Great Britain to any of her colonies. In October 1899, when the Boer War began, Briton was converted to troop carrying. On her first trip, the month hostilities began, she made Cape Town in 15 days, carrying 1,500 troops to supplement the outnumbered British forces there. 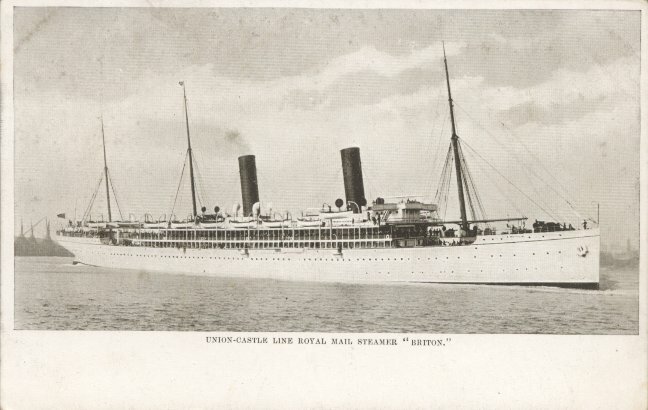 She also became the first Union Line ship to leave South Africa in Union Castle livery in March 1900, three weeks after the merger with Castle Line went into effect. Briton remained in commercial service during World War I, but her third class space was devoted to troops. She was used at various times to carry South African troops to Britain, British troops to the Mediterranean, Nigerian troops from Mombassa to Lagos and United States troops to Europe. She also made voyages on government service to New Zealand in 1919. 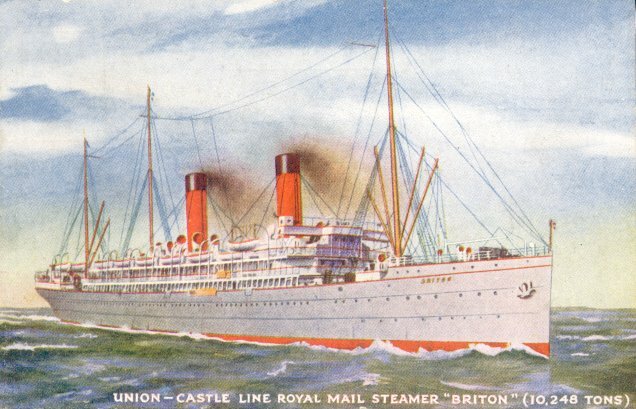 Briton re-entered Union-Castle's mail service to South Africa in 1920, and remained in service through 1924. Except for October and November, she spent 1925 in lay-up, and made her final departure from Cape Town on 13 November. She was scrapped in Italy in 1926.